SIP connectivity (SIP Trunking) and routing allows companies and developers to build out solutions on SignalWire that include SIP endpoints in addition to regular business and mobile phone numbers. 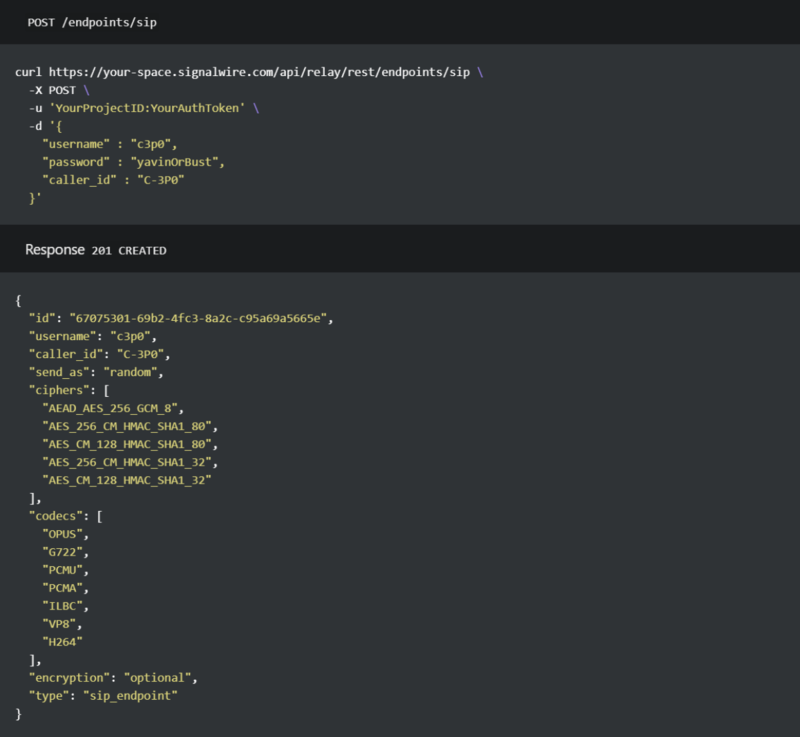 Customers can now programmatically create SIP endpoints and route traffic to those endpoints in the SignalWire network. These endpoints could be many things, such as: PBXs / Business Phone Systems, IP Phones, Softphones, Mobile Applications, and IoT devices, just to name a few. Once the endpoint has been created, you can then enter the SIP credentials in your SIP device and the device will register to the network. Outbound caller ID can be set to any purchased number or a verified number, using verified caller id. You can even use your mobile or current business phone number, more on this in a future blog post! SIP devices calling between SIP endpoints (SIP <-> SIP) must be done with endpoints that are in the same SignalWire project. PSTN-to-SIP calls can be routed to any SIP endpoints outside of SignalWire, Eg. PSTN -> LāML -> External SIP. There are call logs that can be viewed in the SignalWire Dashboard providing a list of all calls and when they were made in addition to some other details. Depending on what your SIP device is, be it a PBX or a SIP application or IP Phone, they all require many of the same fields parameters. 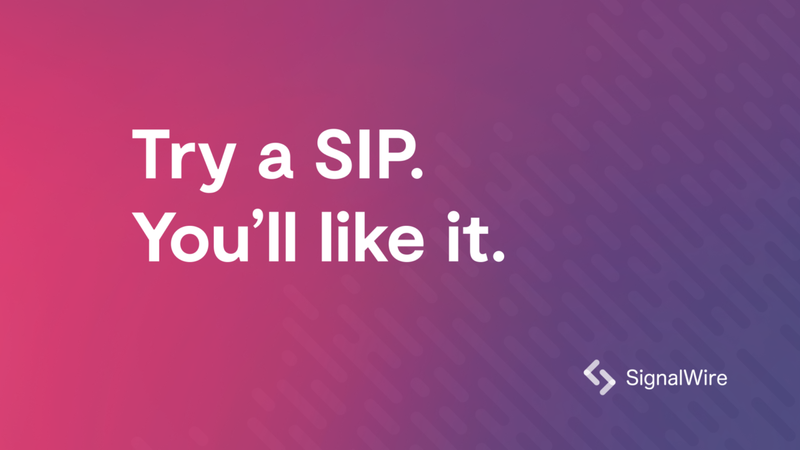 Local SIP Port: In order to avoid malicious behavior, we suggest choosing a local SIP port that is not the typical SIP port. Communications over the open internet should be secure both in signalling and in media. We feel so strongly about security that we decided to support TLS (Transport Layer Security) and SRTP (Secure Real-time Transport Protocol) by default, at no extra charge. Other competitors in the space charge extra for encrypting calls, that’s not how we roll at SignalWire. Our pricing is disruptive for all the services we offer. SIP is no different in this regard. Our price for SIP is metered per minute/per call leg at $0.0007*. As mentioned earlier, our customers get encryption for free. We also do not charge for using LāML to route calls. * Please check our pricing page for up to date pricing.